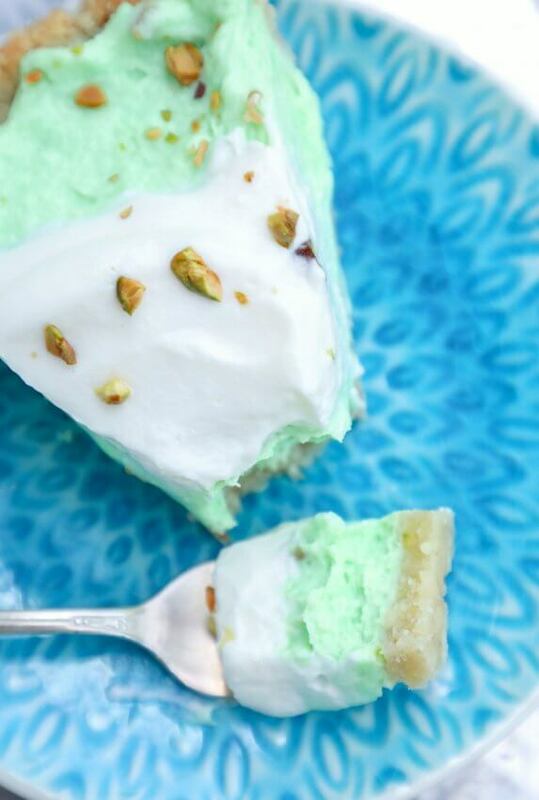 This Keto Pistachio Pudding Pie brought back some tasty childhood memories! The rich and luscious filling doesn’t require cooking, making this delicious low carb pudding pie fast and easy. 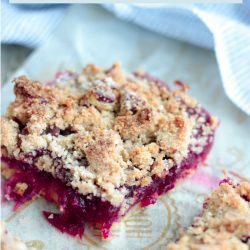 If you’re keeping score, this quick keto dessert is winning by all counts!!! When I was a kid there was a friend of my mom’s who used to bring the same sheet pan dessert to every gathering. It had a base of cookie crust, topped with cream cheese, then pistachio pudding, and whipped cream on top. I was never a fan of the cream cheese layer back then, but I used to love the pistachio pudding and whipped cream. 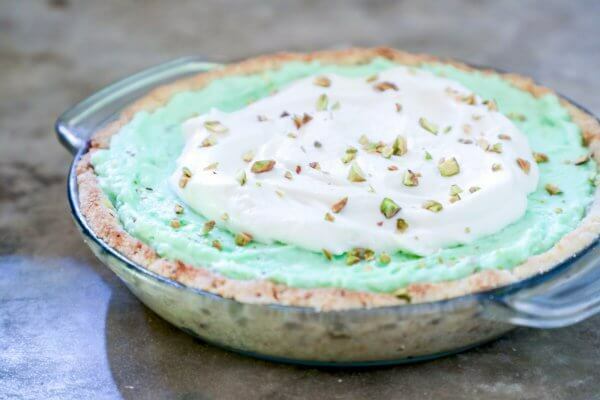 I’ve recreated this nostalgic summer favorite (for me at least) into a Keto Pistachio Pudding Pie that has all of the components I loved as a kid. Be warned that I went with store bought, unnaturally bright green, and artificially sweetened pudding for this recipe. This is not health food and I’m not going to pretend that it is. But ohhhhhh is it GOOOOOOOOD! And therefore totally worth the unhealthy pudding ingredients to make it. So if it fits your macros (only 5g net carbs) you can go for it, and believe me, you really really should! I started with my easy keto pistachio shortbread cookie dough to make the crust. 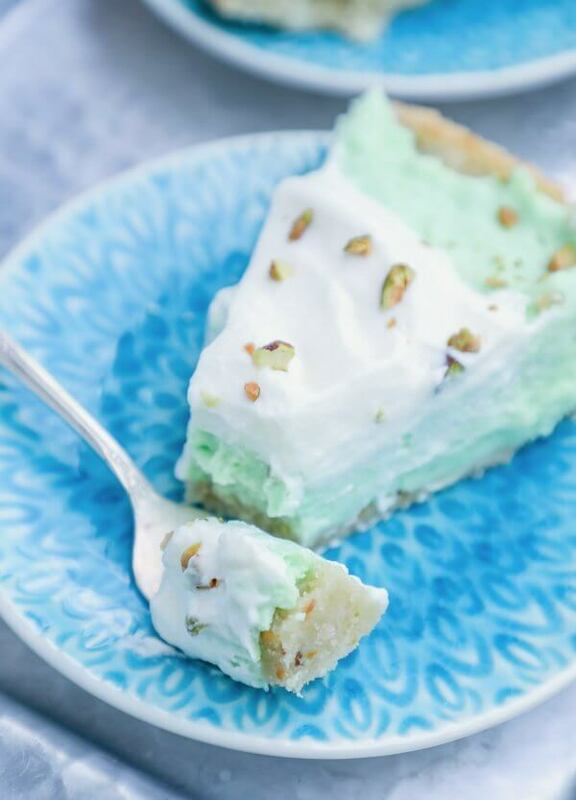 Bake for about 12 minutes and that’s the only cooking required for this delectable keto pistachio pudding pie – not bad, amiright? 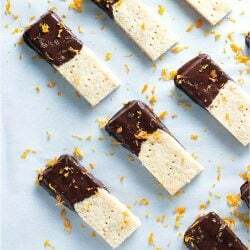 You don’t have to actually make the pudding according to the instructions – instead we’re mixing it with almond milk and mascarpone cheese to help it set quicker and have a thick, creamy consistency. Then of course we top with a generous amount of whipped cream and some chopped pistachios. Seriously, it doesn’t get a whole lot easier than this. You can eat this pie immediately after making – no extra chilling or freezing required for it to set. Which is awesome because you are going to want to have at this beauty ASAP! 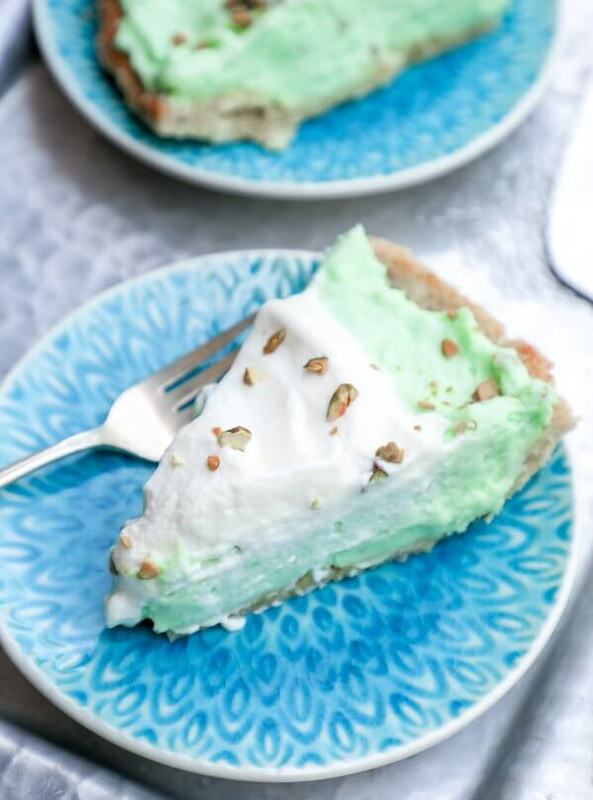 I can’t even with how much I loved this keto pistachio pudding pie. 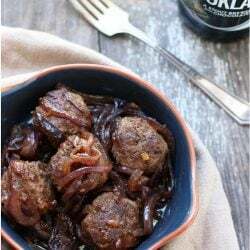 I served it to friends recently at a gathering and it was a huge hit with even the non-ketoers, and nobody seemed to mind the flavor of the artificial sweetener. It’s well masked by the pistachio flavor and rich creaminess of the filling. You guys if you only try ONE of the recipes I posted this summer – MAKE IT THIS ONE. You won’t be sorry! The creamy, luscious filling in this Keto Pistachio Pudding Pie doesn’t require cooking, making this delicious low carb pudding pie fast and easy. Gluten Free. 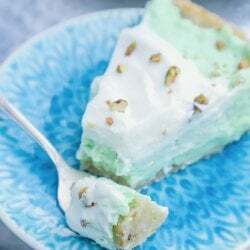 Press the pistachio shortbread cookie dough firmly along the bottom and sides of a standard sized pie plate. Combine the mascarpone, 1/2 cup of the heavy whipping cream, unsweetened almond milk and 2 packages pistachio pudding mix in a large bowl. 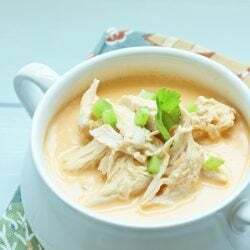 Meanwhile, combine the remaining 1 cup of heavy whipping cream, 2 tablespoons of confectioners style powdered erythritol, and 1/2 teaspoon vanilla extract in a large mixing bowl. Beat with a whisk or electric mixer until stiff peaks form. Fold half of the whipped cream mixture gently into the pistachio mixture. 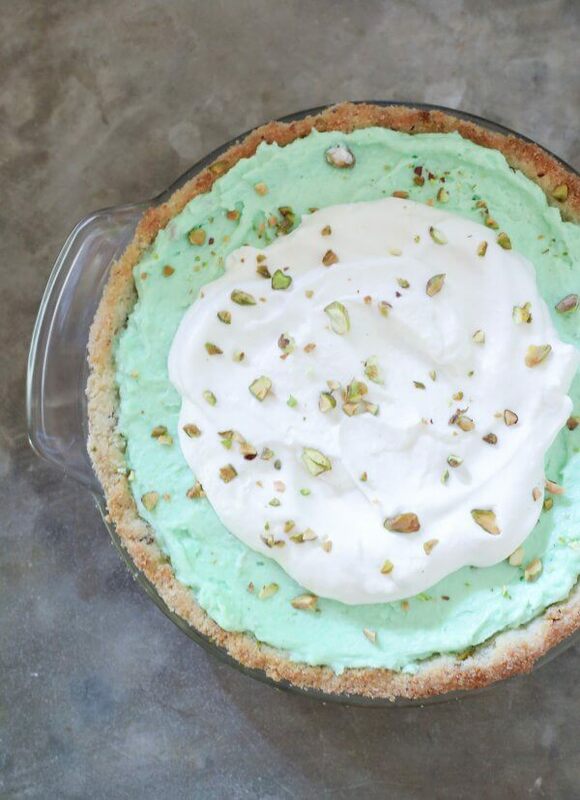 Spoon the pistachio mixture into cooled pie shell and smooth out evenly. Pipe or spoon the remaining whipped cream over the top of the pie. This pie is incredibly rich so a little goes a long way and I kept the serving size at 1/12th of the pie for that reason. You can obviously eat more, but this is a good starting point for the average person. Net carbs per serving = 5g. My sisters-in-law makes the original recipe for our family Easter gatherings, and try as I may, I find it hard to resist. Now I have an alternative, and won’t be cheating on my diet or feeling left out! This is my favorite Keto dessert! I love it! Thank you!! I made it exactly how is says and it was SO GOOD! The crust was even really good. It didnt have that “sugar free” pudding taste. Hubby & kids loved it too! Thank you for sharing it. This is not Keto friendly. Maltodextrin, the sweetener in the sugar free pudding as twice the glycemic index of table sugar. I’m so excited to make this! What size SF jello pistachio puddings did you use? The smaller ones or the bigger ones? My guess is the smaller ones but I don’t want to mess things up ;) Thanks! 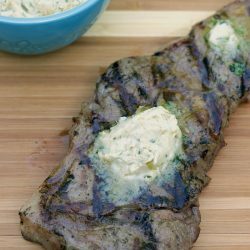 I personally cannot handle dairy, but I would make this for a party or get together and let everyone know it is low-carb. I made this over the weekend. DELICIOUS !!!!! I made a different pie crust using coconut flour, butter & eggs. This pie satisfied my sweet tooth tremendously – a small slice goes a long way. Will keep this recipe ! Oh my gooooooodness! This was unbelievably delicious. Unfortunately our local store did not have SF pistachio pudding, so we replaced it with SF chocolate pudding. We blended the pistachios into essentially a pistachio powder for the crust. This dessert was such a hit with our friends. The marscapone and almond milk made the filling so creamy and made it stand out as particularly extraordinary. 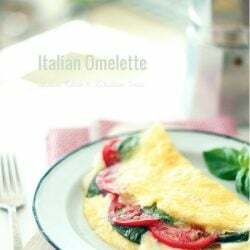 Thank you so much for this delicious recipe! PS – Kind of a bummer that the jello pudding brand uses aspartame to sweeten their SF pudding, maybe that’ll change in the future. Love the sound of your chocolate version! Thanks for sharing! 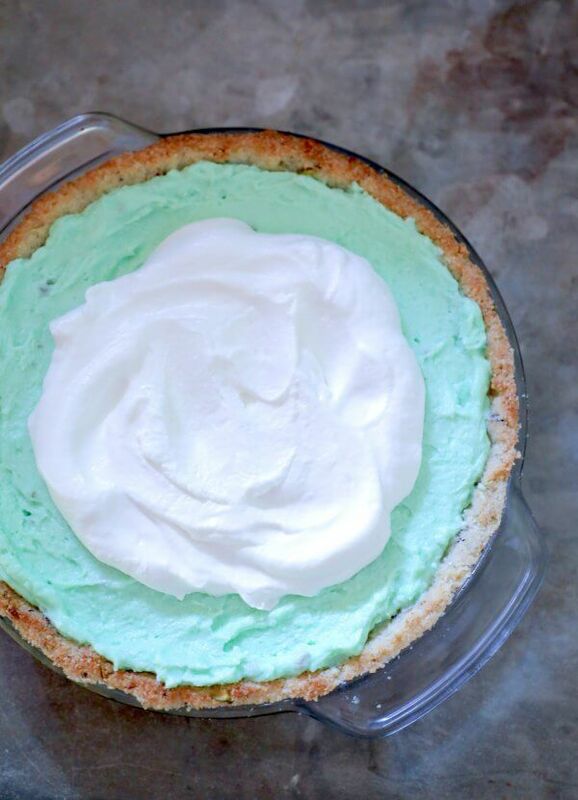 Mellissa….I just made this Pie for tomorrow’s Easter Dinner Dessert, but it won’t come up on my Carb Manager. I need to input this in as my snack, & I don’t know how to log it in without the nutritional values….”HELP!” Do you have any suggestions? 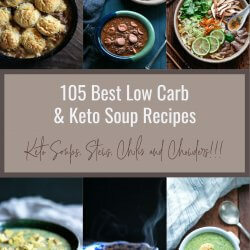 I’m a Beginner to the Keto world & have only been doing it for a month now so I’m trying to stay stead strong on the recipes. I’ve already lost 12lbs & I’m Loving this life style so far! Sorry I don’t use Carb Manager so I can’t help with this! What brand of pistachio pudding do you use? I haven’t been able to find any that aren’t made with maltodextrin. As I mentioned in the post I used the unhealthy sugar free stuff – jello brand I’m pretty sure and it did contain maltodextrin. I doubt you’ll find one that doesn’t but for me as a treat this was totally worth it and fit my carb budget just fine. Thank you! Will try it soon. And salted roasted pistachios! It was a hit! Thank you! And a little bit definitely goes a long no way I think I got 16 slices out of it. Really delicious! Very sweet, i think next time I’ll cut the sweetener but it was very delicious! a month. We adored it and I’m 85 years old so as you can see I’m still here. I shall lovingly make your pie. I can already taste it’s deliciousness. to my daughter. (but not until I read it like a book). I haven’t made the pistachio pie yet but I will be soon. Do you think it will freeze? 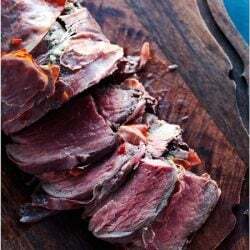 I’d love to make several and file them in the freezer for future dinner parties.